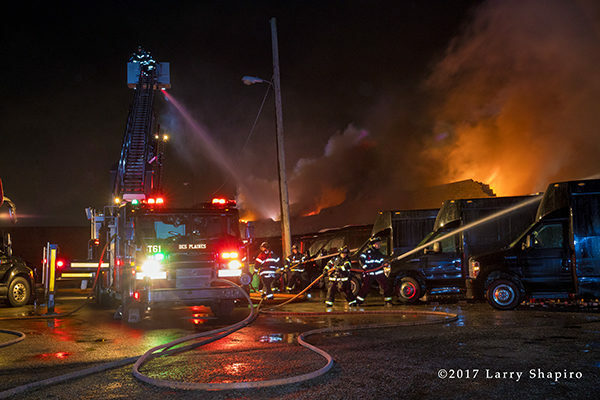 Des Plaines (IL) firefighters responded to a fire at Maine Scrap Metals at 1274 Rand Road just after 11PM on Wednesday (1/10/18). 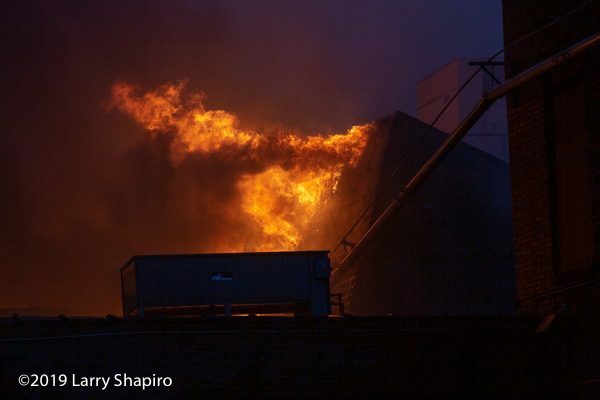 They arrived and had fire inside the building and upgraded the alarm to a working fire. 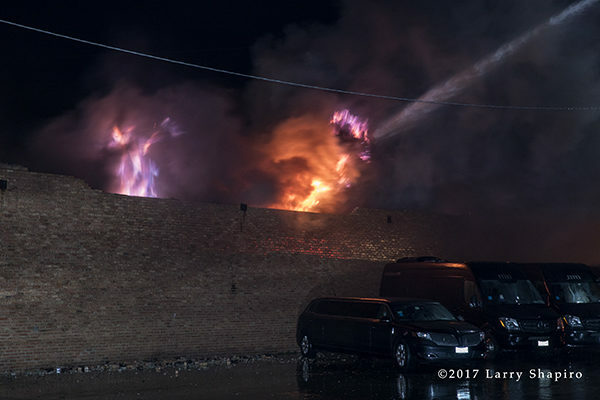 Within minutes they were defensive with flames through the roof and a compromised exterior wall. 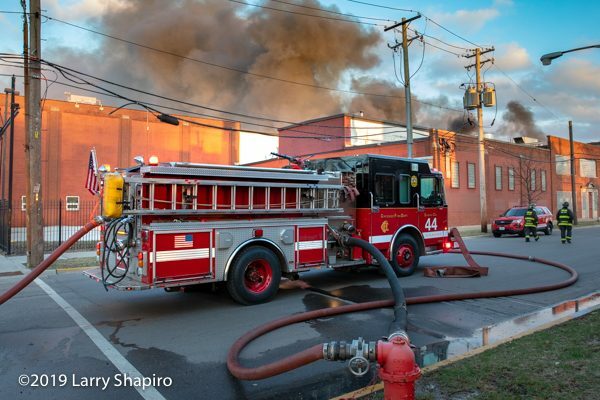 The alarm was upgraded to a MABAS Box Alarm as master streams were put into operation. 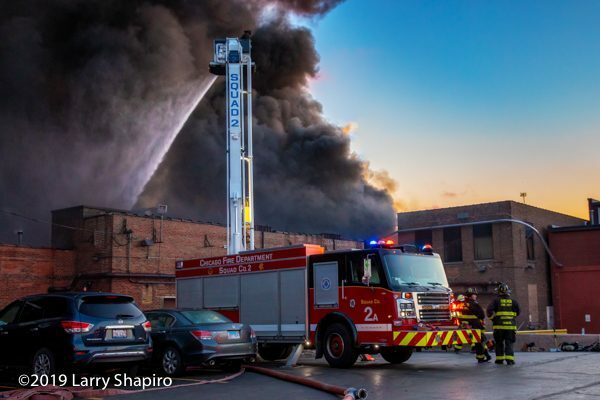 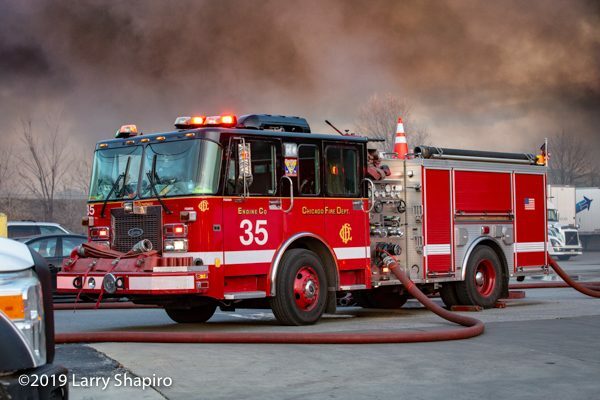 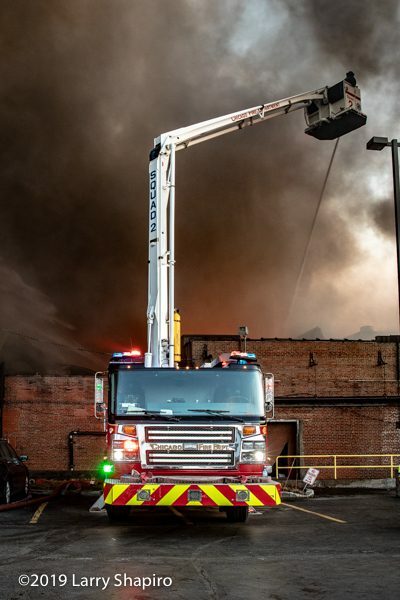 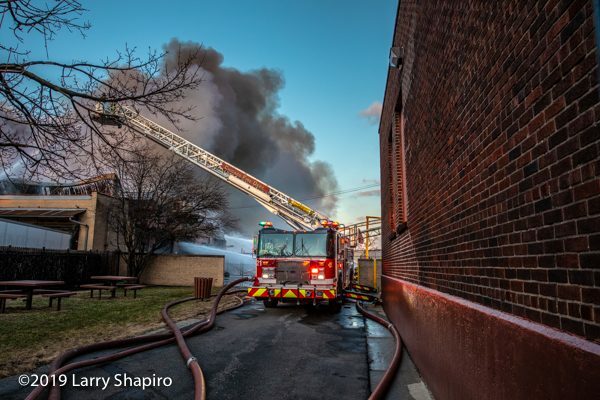 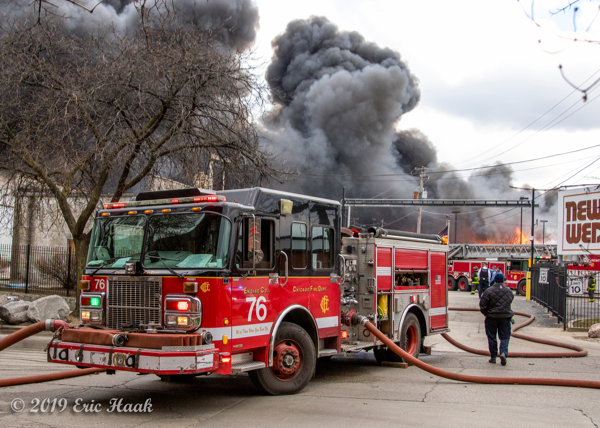 Eventually four elevated streams were deployed from Des Plaines Tower 61, Des Plaines Tower 63, Niles Truck 2, and Chicago Squad 7A. 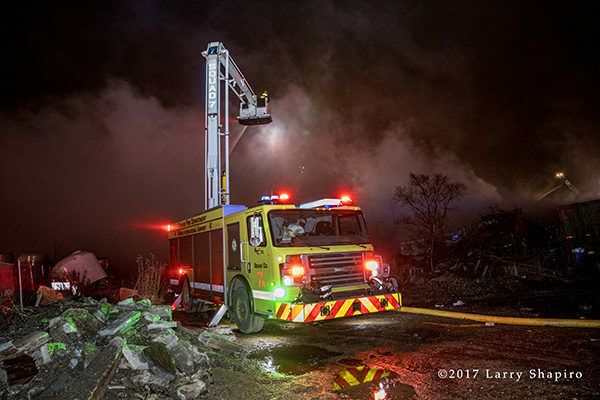 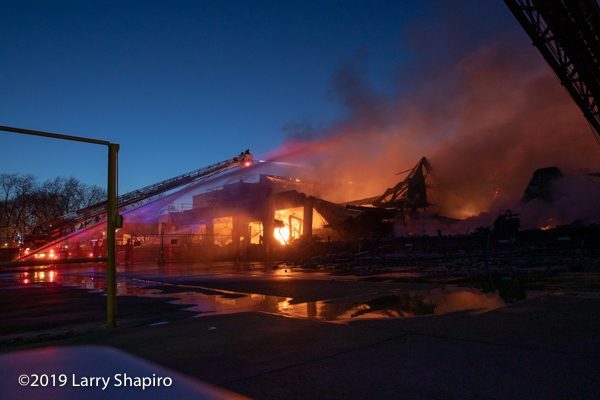 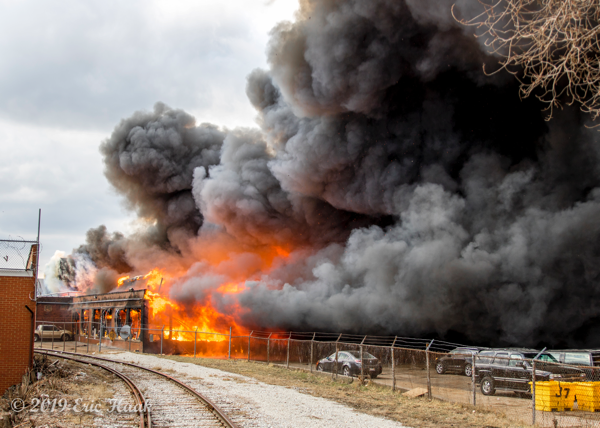 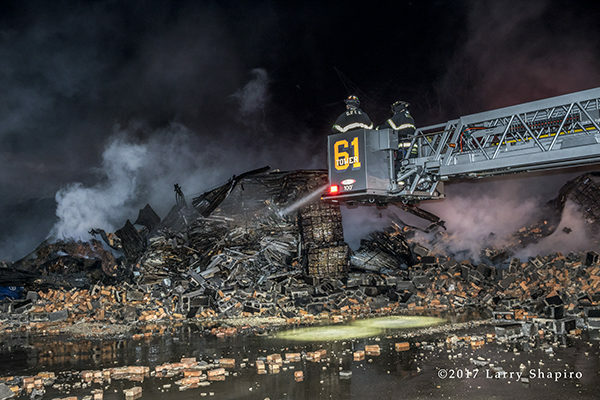 After the bulk of the fire was out and access to the smoldering fire was difficult due to the roof collapse, a front end loader was brought in to knock down the remains of the D-Sector wall which bordered a limousine company.